Cancel all your plans. Roger Federer takes on Ernests Gulbis in a tantalising fourth round encounter. Of course, now I have bigged it up, it will end in three quick sets. 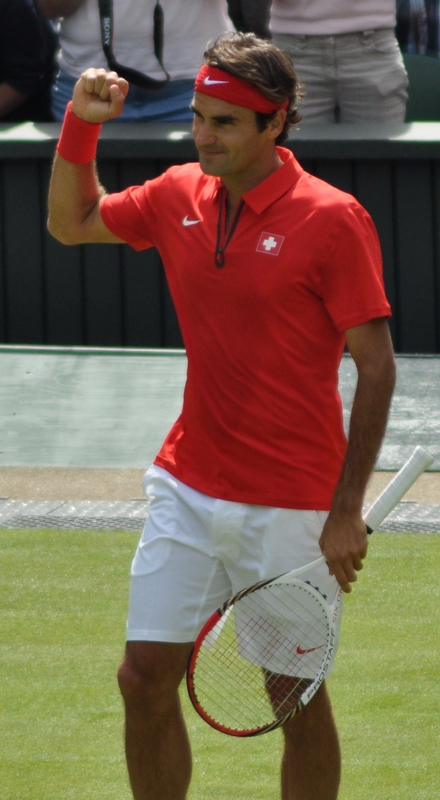 Federer needed four sets to get past Dmitry Tursunov in the third round. Fed lost the second set on the tiebreak having had four set points. He eventually sealed his place in the last 16 with a 7-5 6-7(7) 6-2 6-4 victory in three hours and 7 minutes. Gulbis making the 4th round is a pretty special achievement. The Latvian world number 17 hasn’t been past the third round at a Grand Slam since 2008 when he reached the quarter-finals at Roland Garros. That is a crazy stat. Federer has had trouble against Gulbis before, losing in Rome in 2010 when Gulbis hit a hot streak. All three of their matches have gone the distance. It is so long since the pair last met that you cannot really take much away from the head-to-head. The match will solely come down to Ernests. If the guy keeps his brain intact then he has a good chance of making this a real spectacle and a tough match for Roger. He has been much more consistent this year although a wayward performance is still something that could happen. I’ve got high hopes for this one so it’s likely I will be disappointed! In a rematch of the stirring 2012 Roland Garros quarter-final, Novak Djokovic takes on Jo-Wilfried Tsonga. The Frenchman was unable to convert four match points on that occasion, eventually falling, 6-1 5-7 5-7 7-6(6) 6-1 in a heartbreaking loss. Since that match-up, Djokovic has won their last eight matches and has not dropped in any of those encounters. At Roland Garros this year, Tsonga has had a really solid week. He is yet to drop a set as he continues to settle after a poor start to the year. Djokovic lost his first set of the tournament to Marin Cilic in the third round. He came through with a few wobbles in the final set, 6-3 6-2 6-7(2) 6-4. Djokovic owns Tsonga in the head-to-head although the home crowd might be able to rouse Jo. This tournament has been a surprisingly fruitful one for the American men with John Isner, Donald Young and Jack Sock all reaching at least the third round. Isner defeated Tommy Robredo in a tough four setter, 7-6(13) 7-6(3) 6-7(5) 7-5. The match featured just one break of serve as Isner saved 13 break points. Isner now takes on Tomas Berdych, who enjoyed a reasonably comfortable win over Roberto Bautista Agut in four sets. Many were anticipating an upset in that match. Berdych leads the head-to-head by four wins to two and has won both their previous matches on clay including a straight sets win at Roland Garros in 2010. This is likely to be another a brutal match, but Berdych should have the edge over best of five sets. I have always felt Milos Raonic‘s potential was overrated; However I am starting to come round this year. Milos has shown a great deal of improvement, particularly his eagerness to come forward to the net and be good at it. He came from two sets to one down and ignored the disappointment of failing to serve out the match at the first time of asking to defeat Gilles Simon, 4-6 6-3 2-6 6-2 7-5. Raonic plays Marcel Granollers in the fourth round. Milos has never made a Grand Slam quarter-final. Surely this is his time to change that. May 31, 2014 in ATP, Federer, Gulbis, Roland Garros.